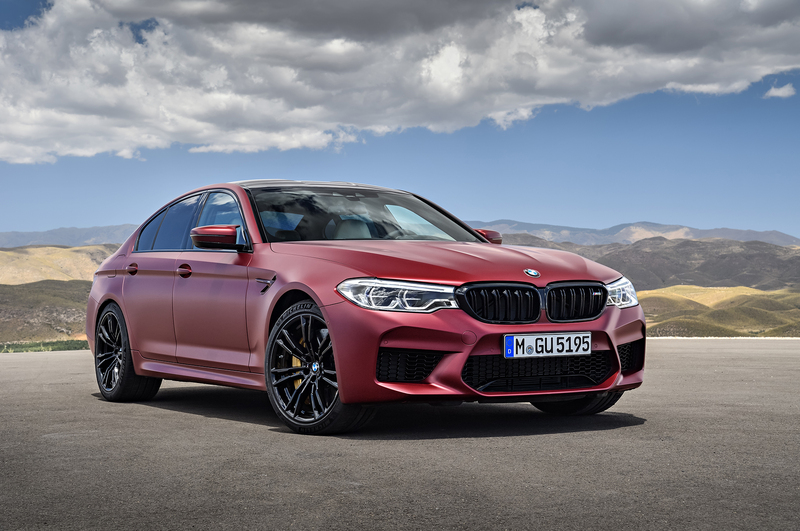 The All New BMW M5 is Here and it’s Everything We Expected. But is that a Good Thing? The day is here, the time has come, the all new all mighty BMW M5 has officially been released. 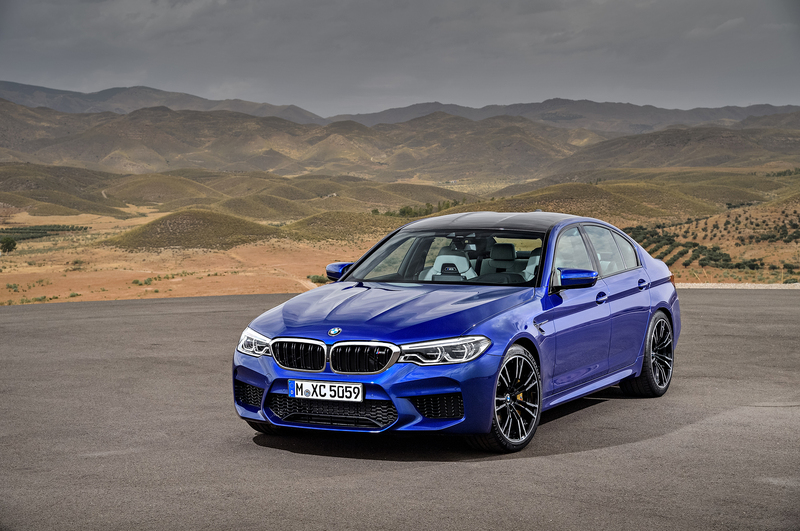 BMW’s performance gurus we all know as the M Division have gone to the drawing board and created the next generation of the flagship performance sedan, the M5. It’s a controversial car in the eyes of many BMW enthusiasts, including those of us here at the Moto Networks offices. 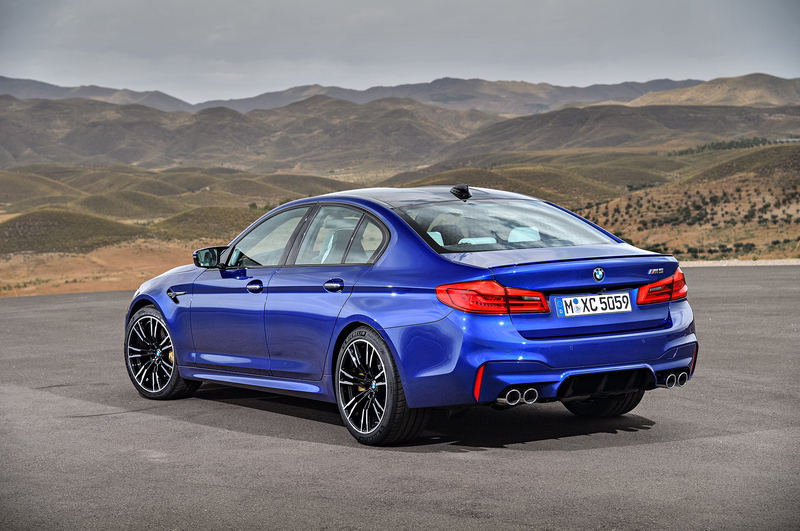 In the eyes of some BMW purists, it’s blasphemy, “not worthy of the M5 name” they say. 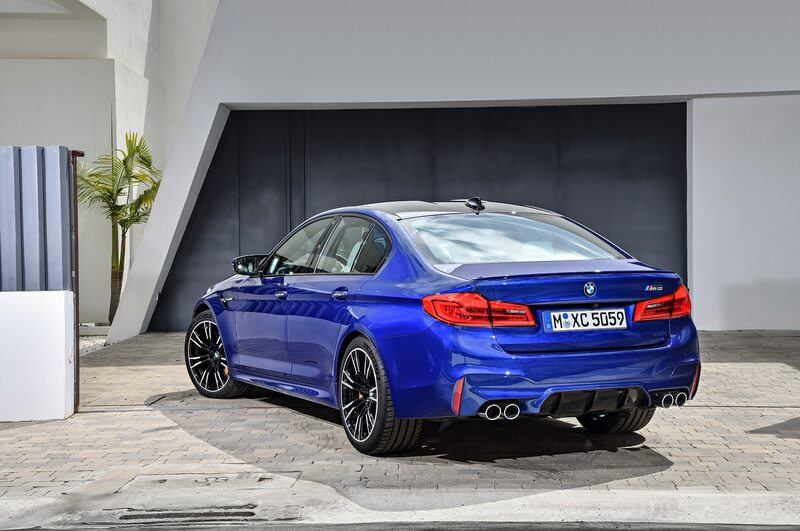 Even though it has a 4.4L twin turbo V8 under the hood churning out 600hp with 553lb-ft of torque and is absolutely drop dead gorgeous, there is one main attribute that’s causing all the commotion and that’s the 2018 BMW M5 is the first M Car to come from the factory with an all wheel drive system. 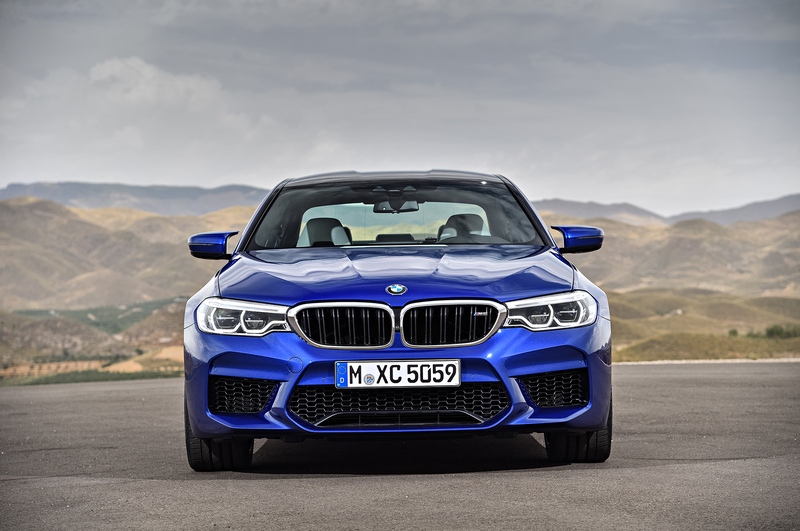 There’s been talk of the new M xDrive all-wheel-drive system for a while now and everyone knew it was coming. 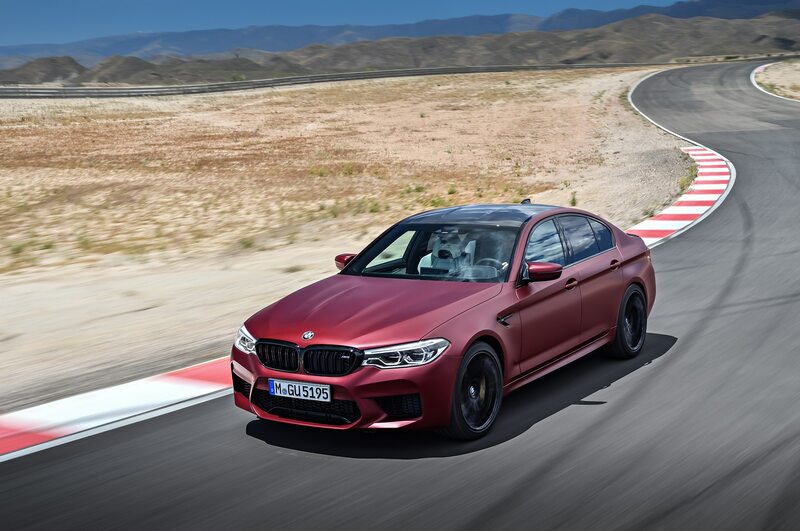 It turns out that it was exactly as it was rumored to be in the sense that even though it’s an all wheel drive xDrive system, it’s an “M” version and is therefore tuned and designed with performance in mind. Not only will you have the ability to flip a switch and turn your brand new Bavarian masterpiece into a 600hp drift machine, but every time you drive the car it’s designed to only send power to the front wheels in the event that “traction is limited and the rear wheels can’t effectively put the power down by themselves.” Otherwise, 100% of the power is sent to the rear wheels. 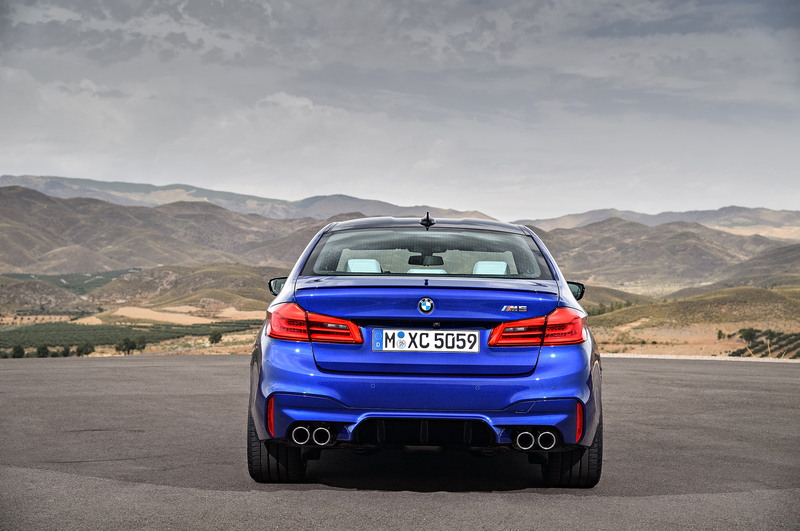 But what is so upsetting to a diehard M Car enthusiasts is the fact that it’s not a rear wheel only powertrain. And rightly so if you think about it. 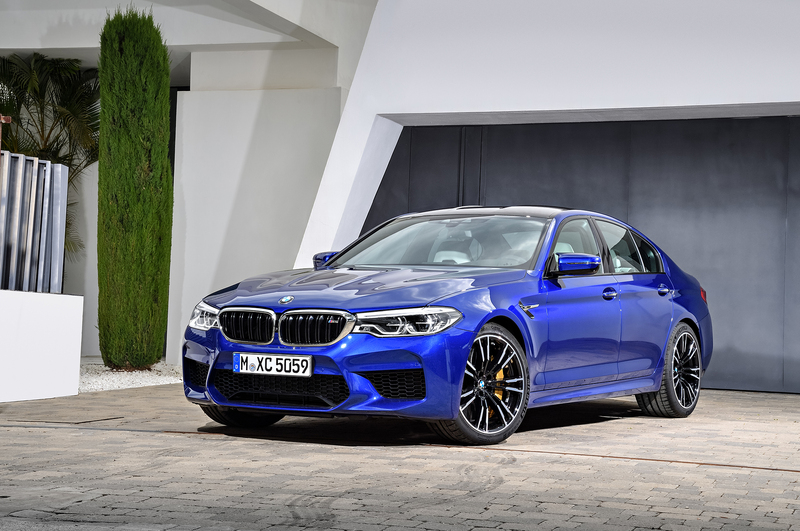 After all, it’s the naturally aspirated high-performance front-engined, rear-wheel drive, manual transmission with excellent balance and top-notch handling that made the M5, as well as the rest of the M Division, so respectable in the first place. 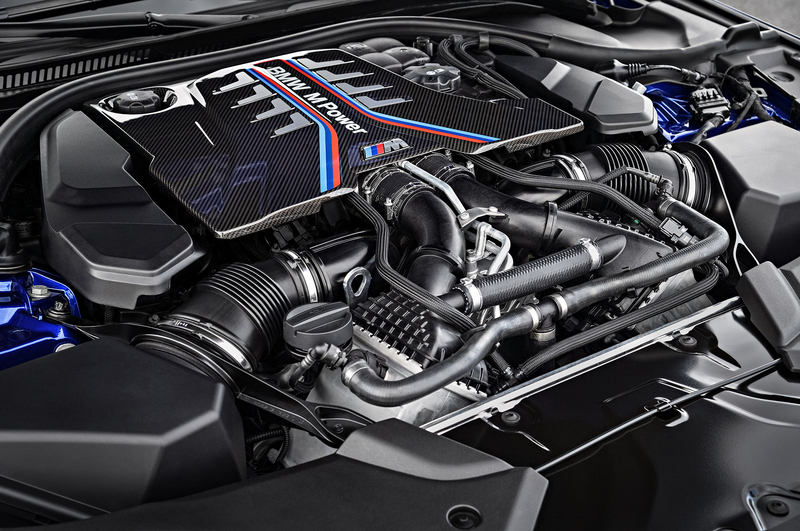 They dropped the naturally added aspect when they released the last generation M5 with the twin turbo V8, making it the first M Car to use forced induction. And now this new generation is dropping the rear wheel drive aspect by technically offering an all wheel drive system, no matter how rear biased it may be. 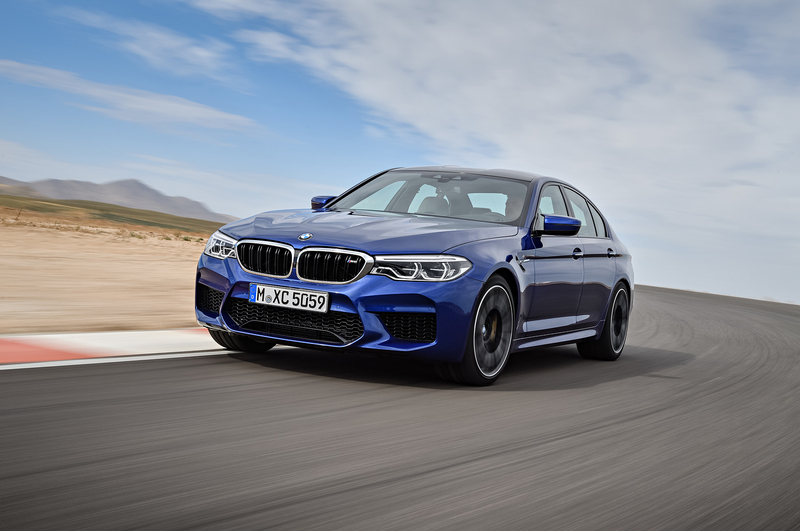 Wait there’s more, purists are also suffering the loss of another of the core values because the new M5 will not have the option of a manual transmission, that one cuts deep. 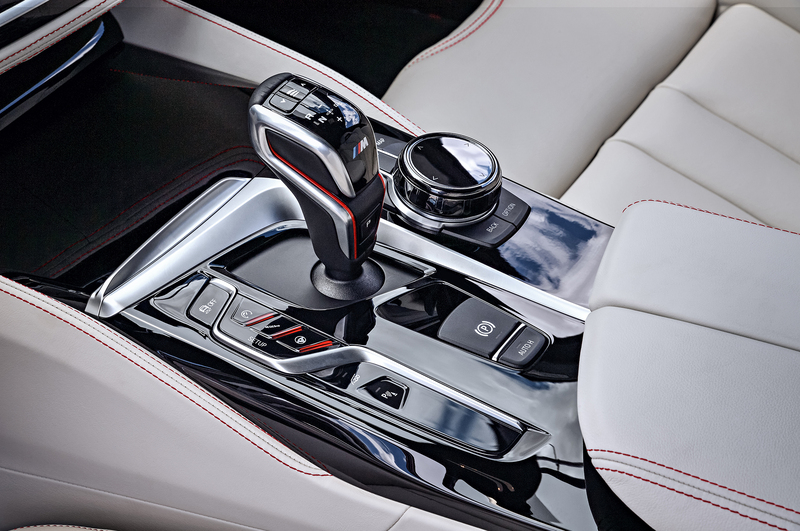 Instead of offering the true three pedal manual that many of us know and love, the mad scientists at M decided to offer it only with the performance-oriented eight-speed automatic transmission. It comes with multiple different modes that can adjust everything from throttle response to shift points so you can set the car up exactly as you like it to be. 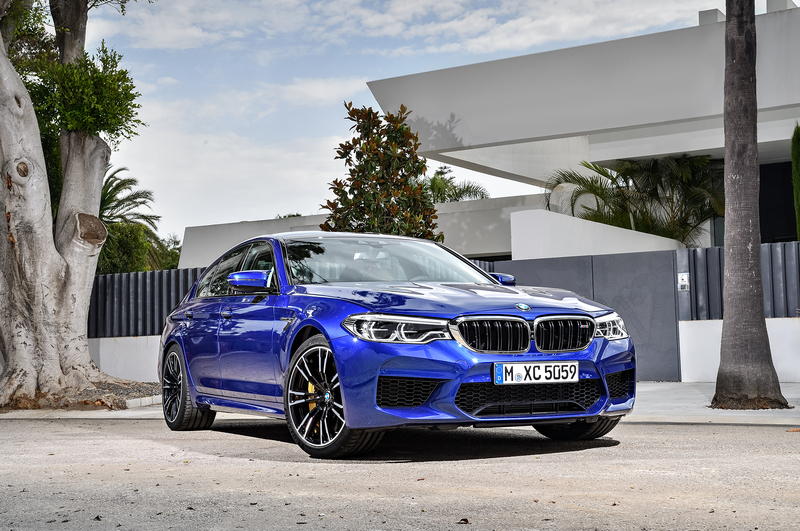 That combined with the torque monster that is the 4.4L twin turbo V8 that has peak torque available from 1800-5600 RPM, allows the M5 to lay down an estimated 0-60 time of just 3.2 seconds. That’s in a full-size performance sedan mind you, one big enough that you could comfortably carry your entire family or a handful of your buddies. 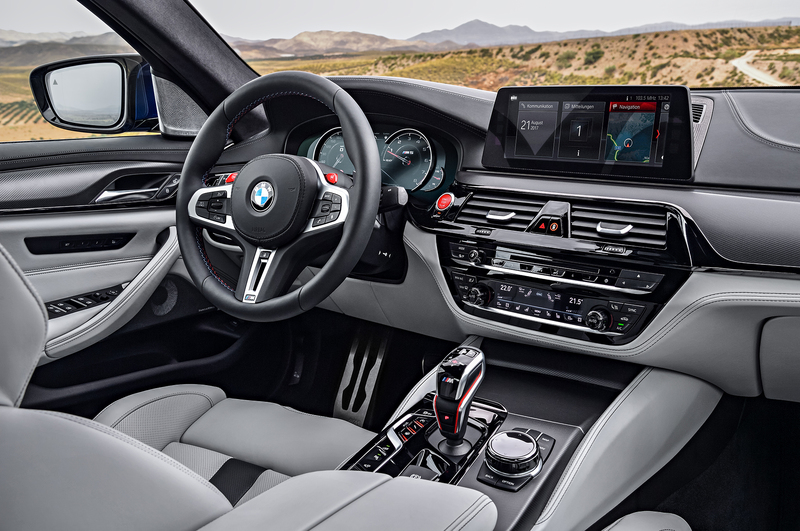 It has a claimed quarter mile time of just 11.1 seconds and models equipped with the optional M Drivers Package will have a limited top speed of 189mph. They didn’t stop there, the full suspension system has been revised and updated. 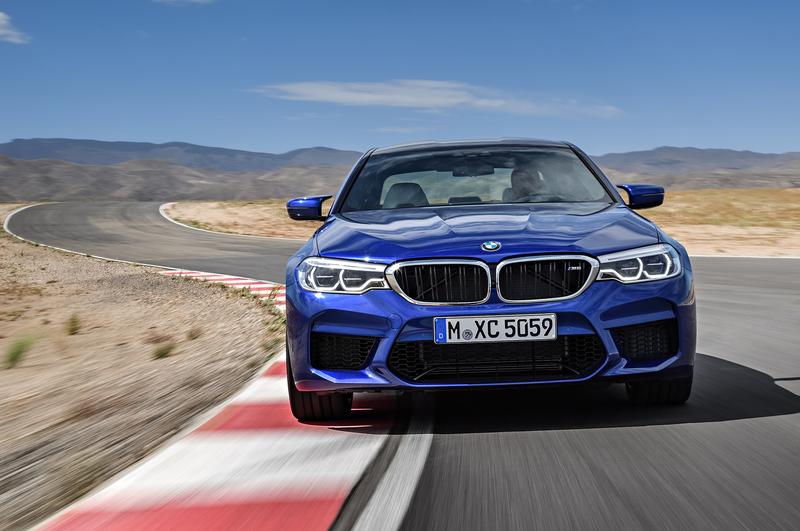 The new M5 has a wider track than the outgoing model that is said to improve the directional stability. 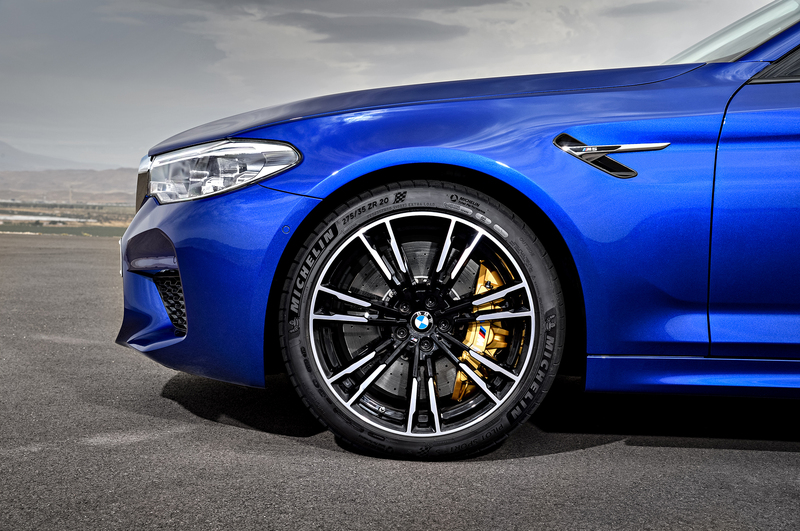 You’ll have the option of two different brake packages, the standard M compound or the M Carbon Ceramic brakes and you’ll be able to distinguish what each car has based on the color coded brake calipers of blue and gold respectively. Both of which will be clamping onto perforated and vented 15.5-inch steel discs up front and 15-inch in the rear which should provide more than enough stopping power to snap your neck like a twig if you’re not prepared for it. 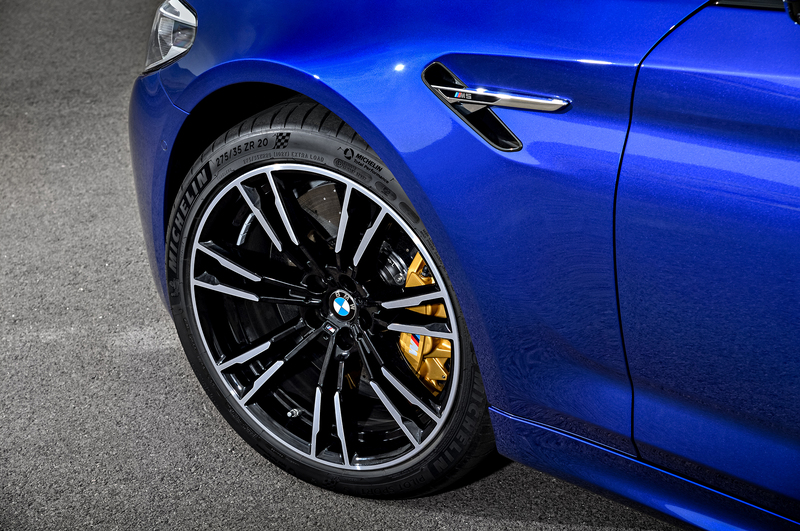 Another thing worth noting about the new M5 is that even with the new all wheel drive system, the new model is at least 30lbs lighter, and can be as much as 80lbs lighter if you opt for the 50lb savings of the gold colored carbon ceramic brake calipers. 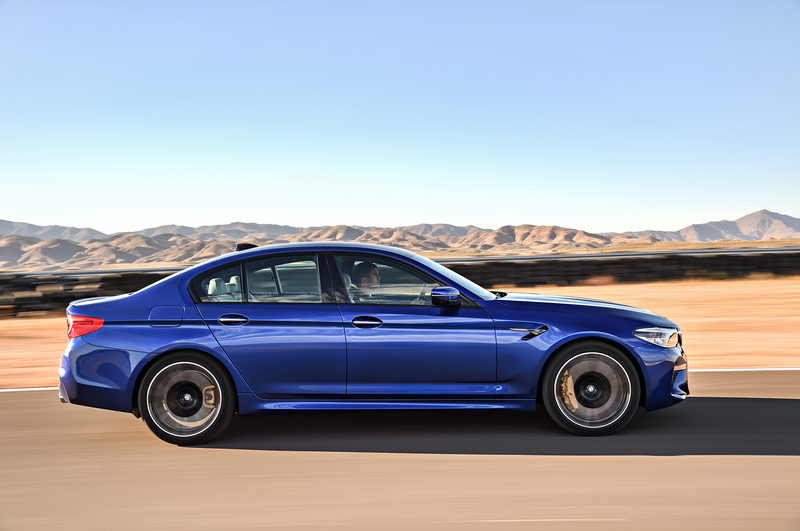 Weight savings was a very important goal with the new Bimmer, they even changed out the standard roof for a carbon fiber-reinforced plastic not to mention a weight optimized exact system aluminum hood. As you can see so far, the G30 generation M5 is shaping up to be an impressive car if you look at it strictly in regards to the numbers. However, numbers aren’t always the most important thing when it comes to an excellent drivers car. As an avid BMW enthusiast, I’ve always regarded BMW as the “Ultimate Driving Machine” and since the M division focuses on creating high-performance cars it’s only logical to look at the M5 as the “ultimate high-performance driving machine.” As much I love the M cars, I must admit I was a bit skeptical about an M5 with AWD. 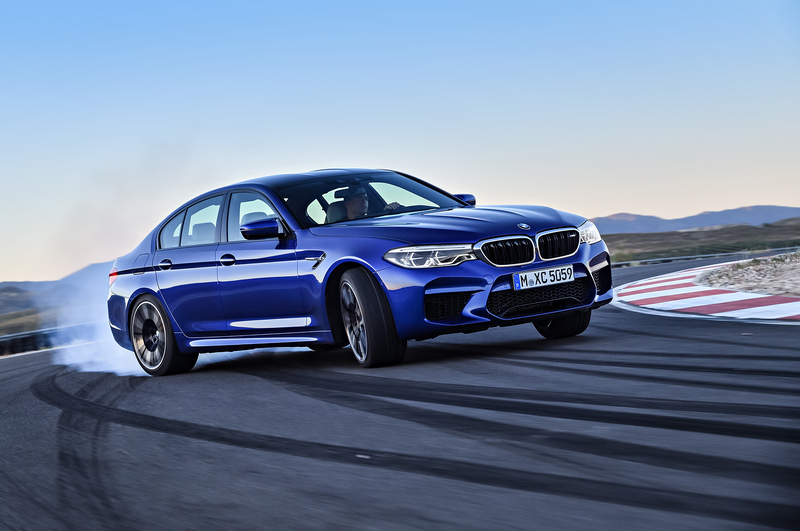 But then I thought to myself, if the head brains at the BMW M Division say they feel the next level of performance of the M5 is only available by using the all wheel drive system, there must be a good reason for that. Especially given their track record and the heritage associated with both the division itself as well as the M5 specifically. What it ultimately boils down to in my opinion is how the car is going to perform in real-world applications as well as a track setting. 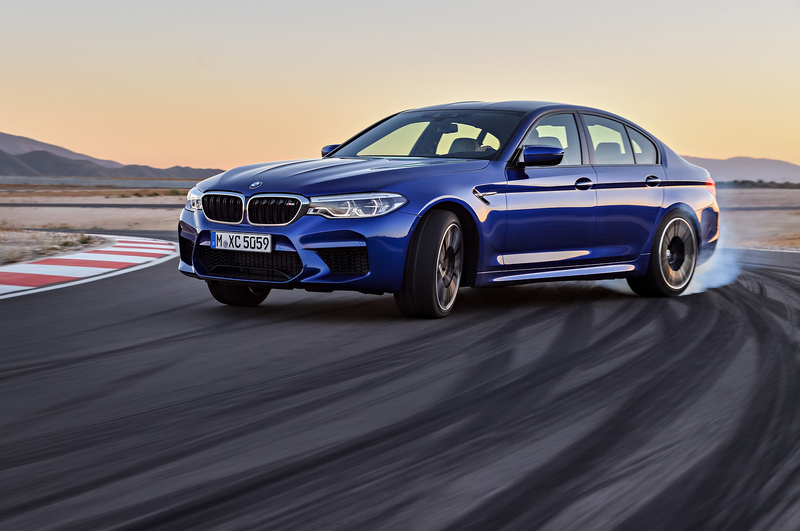 We know it’s faster 0-60 than the outgoing model and the nice part about it is that it will lay down those 3.2 second times all day long no matter whose driving, thanks to the traction provided by the AWD system. But what really matters is how it’s going to perform once you take it out on the freeway, or decided to take it to the track on the weekends to battle your Porsche buddies. Maybe more importantly, is how it’s going to make you feel when you’re behind the wheel of the car. Will it lose that uncanny feeling of being connected to the road like it’s on rails? 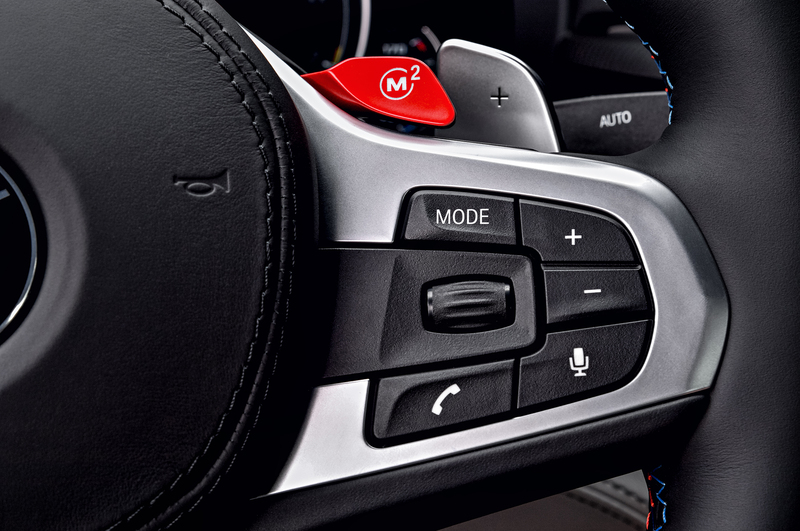 Will it still give you that sensation of driving a rear wheel only car and still give you the lightning fast responses an M Car is known for? 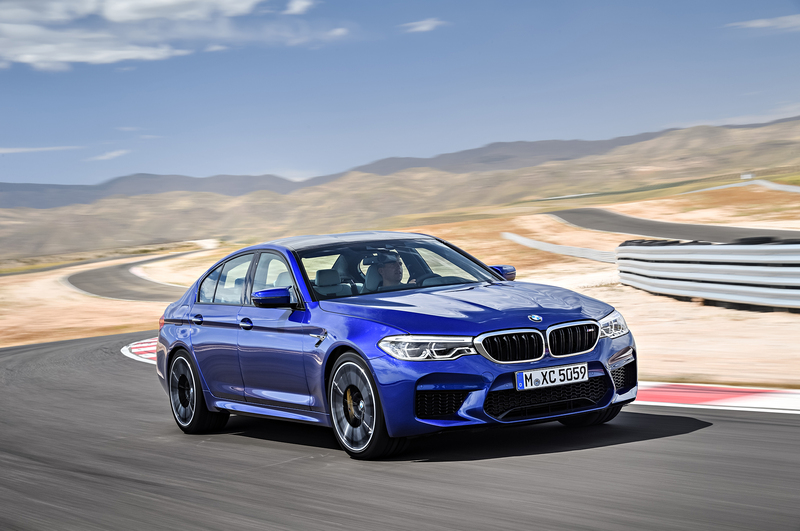 Those are the questions that really matter and assuming it is as good as it’s being made out to be, the new M5 more than meets those expectations and therefore, in my opinion, is a brilliant car, all wheel drive and all.